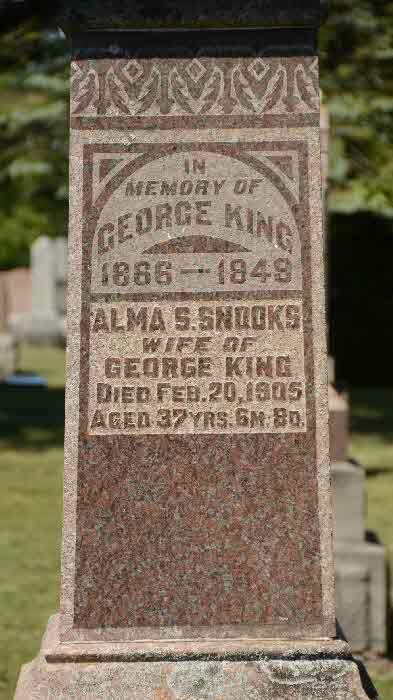 Burial* She was buried in Udney United Church Cemetery, Mara Twp., Ontario County, Ontario, Canada. 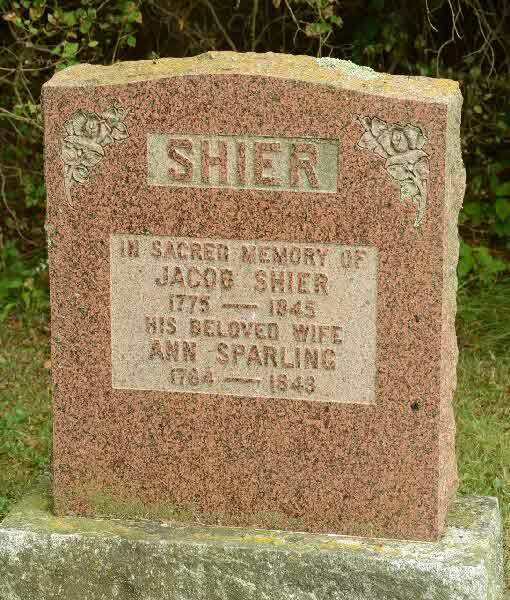 Burial* She was buried in Pine Hill Cemetery, Markstay, District of Sudbury, Ontario, Canada. 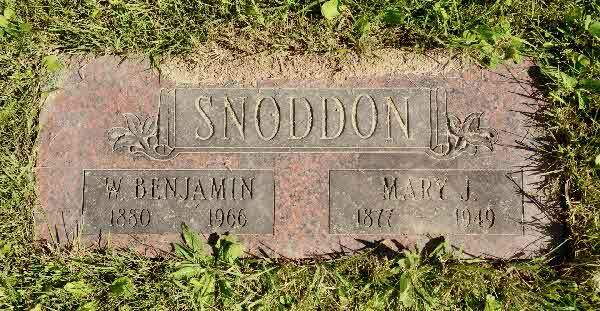 Birth* Ruthena GRACE Snoddon was born on 2 December 1906 in Mara Twp., Lot 3 Conc 6, Ontario County, Ontario, Canada. 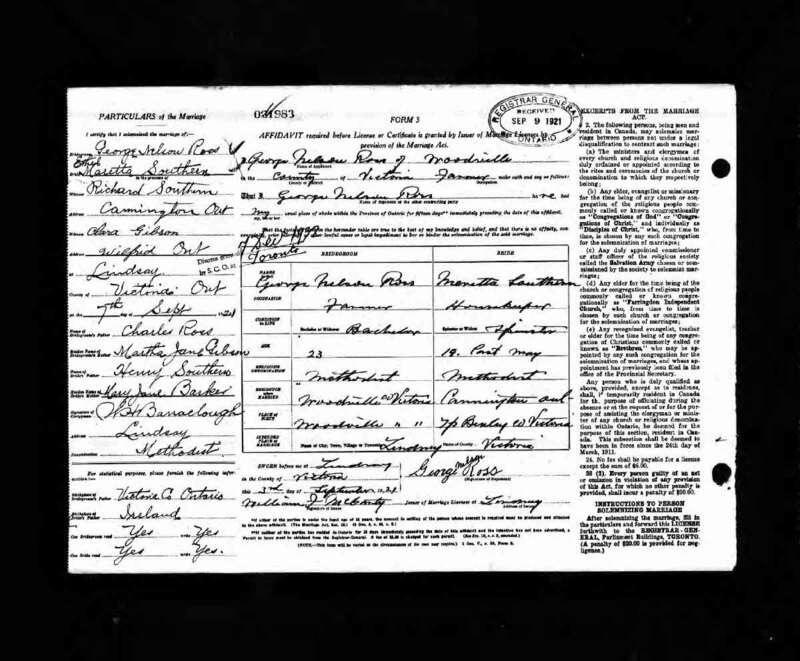 [S18] Unknown subject, Manitoba Vital Statistics (n.p. : n.pub. 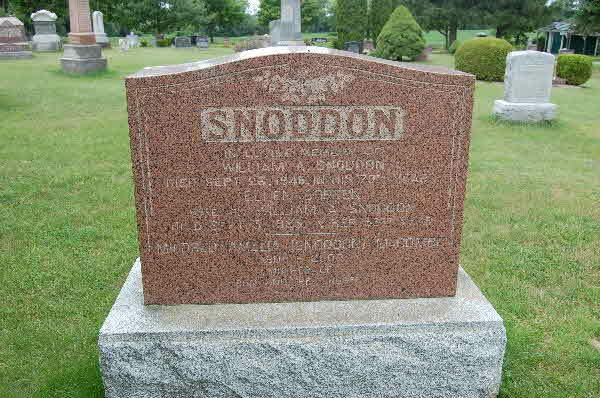 ), Death Registration for May Snoddon # 1924 - 012009. 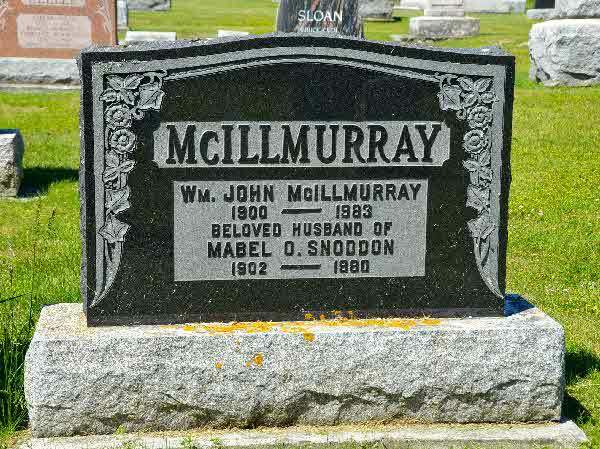 Burial* He was buried in Pine Hill Cemetery, Markstay, District of Sudbury, Ontario, Canada. 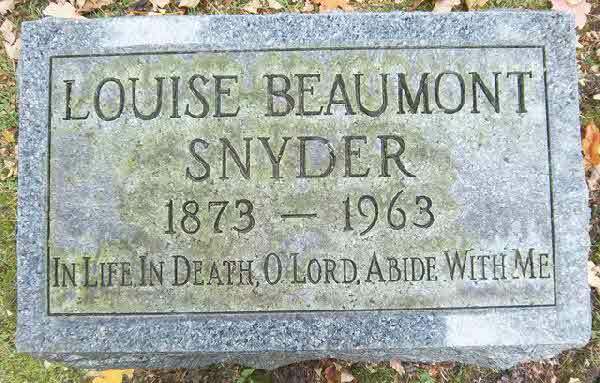 Death* Louise Beaumont Snyder died on 8 February 1963 in Petoskey, Emmet County, Michigan, United States, at age 89; Services were held Saturday at the Stone Funeral Home for Miss Louise B. Snyder, 88, who died this morning at the Petoskey Geriatrics and Care Center following an extended illness. Rev. 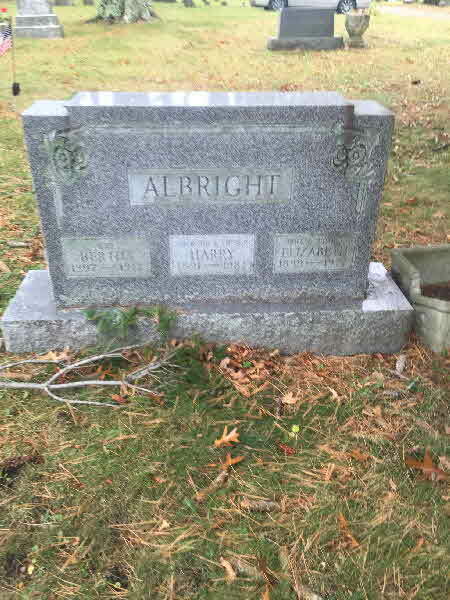 Dudley Burr officiated, and interment was in Greenwood Cemetery. 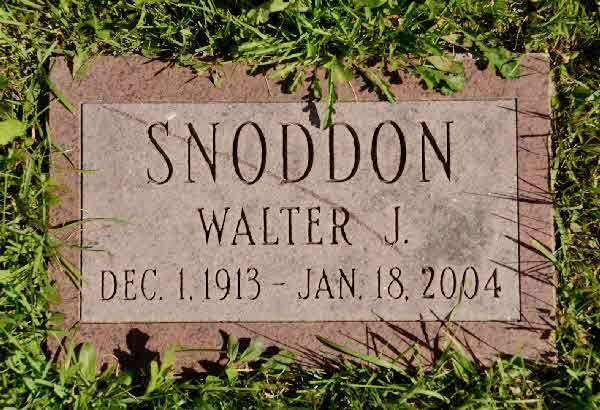 was born in Ypsilanti and for many years was a violinist with a Detroit orchestra. 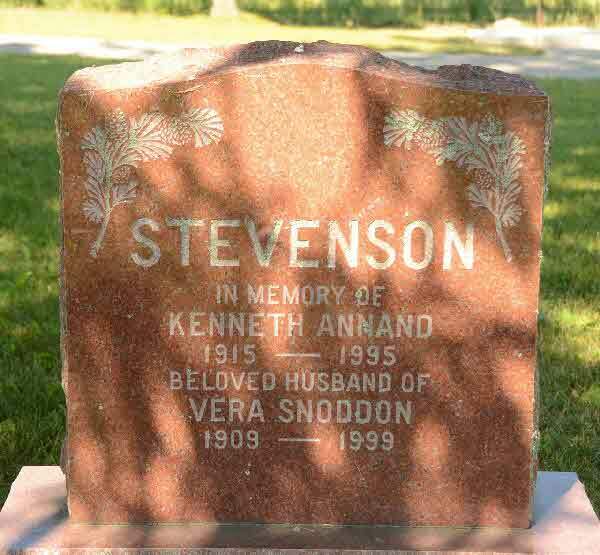 Following the death of her sister-in-law about 30 years ago, she came to Petoskey to make her home with her brother, Watson, and care for his children.is survived by a nephew, Watson Snyder, Jr., of Hudson, Ohio; a niece, Mrs. Norman (Jean) Varcoe of Fort Lauderdale, Fla; several cousins. 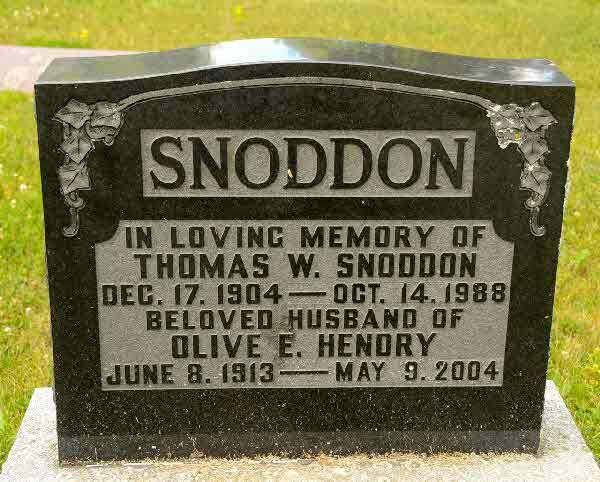 Marriage* He married Anne Beaumont Shier, daughter of Charles Newkerck Shier and Elizabeth (Betsey) Ridgway, on 26 July 1867 in Ypsilanti, Washtenaw County, Michigan, United States. 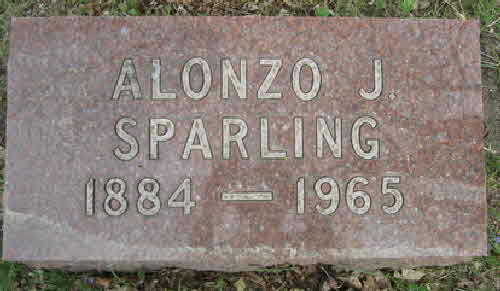 Marriage* He married Lulu May Shier, daughter of John H. Shier and Mabel L. Wilson, on 7 November 1938 in Ferndale, Oakland County, Michigan, United States. 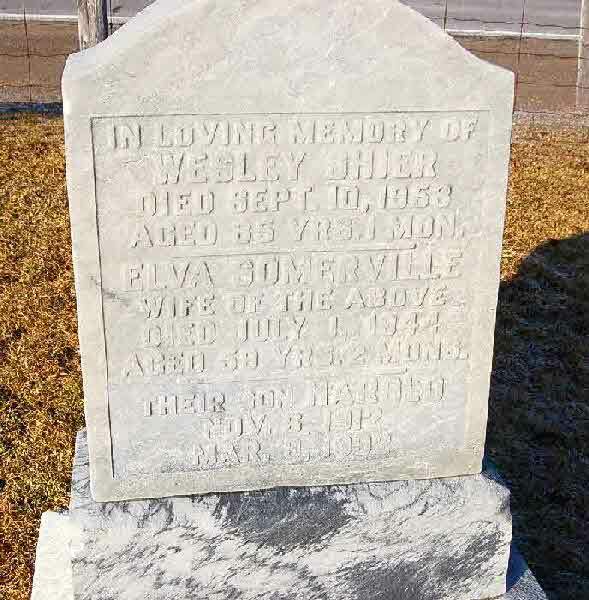 Marriage* She married John WESLEY Shier, son of John Shier and Dora Sparling, on 20 December 1901 in Brock Twp., Ontario County, Ontario, Canada. 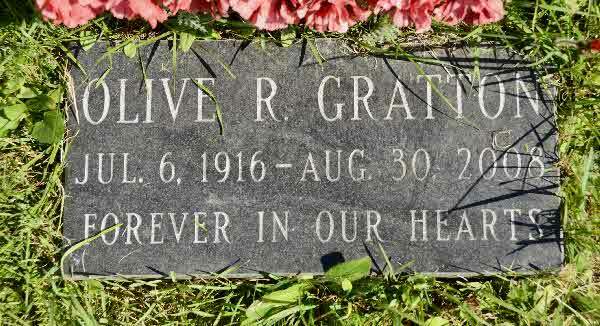 Burial* She was buried in Bethesda Scott Cemetery, Scott Twp., Ontario County, Ontario, Canada. 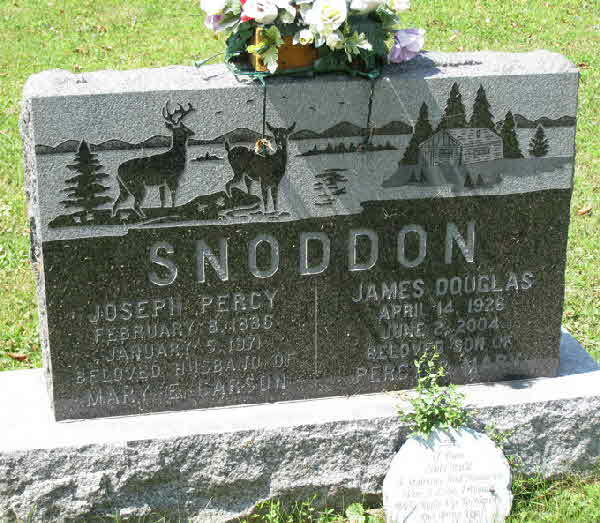 [S1] Ancestry.ca, online \Ancestry.ca\, Norris Dewdney Family Tree. Hereinafter cited as Ancestry.ca. 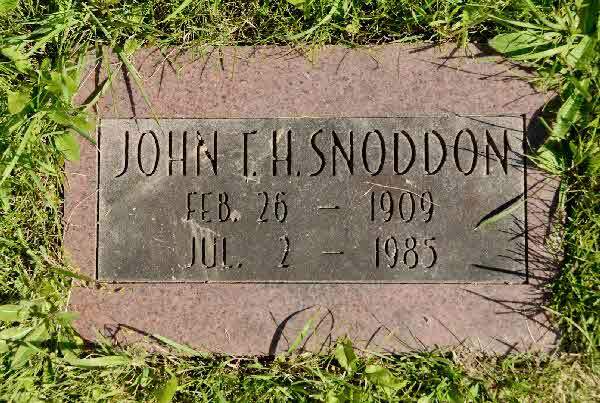 Birth* He was born on 2 May 1899 in York County, Ontario, Canada. Birth* Ethel Maretta Southern was born on 3 May 1902 in Victoria County, Ontario, Canada. 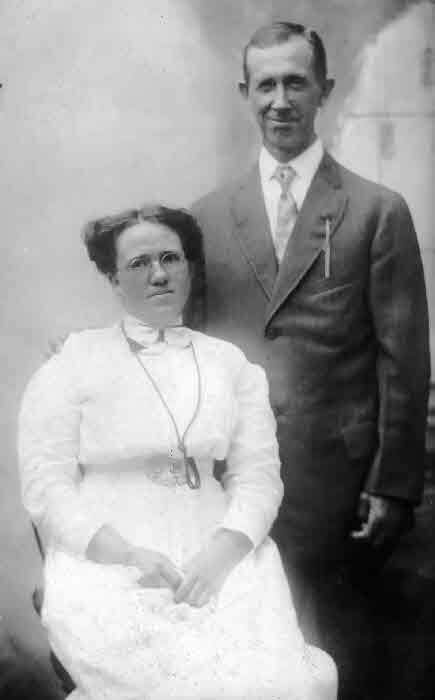 Marriage* Ethel Maretta Southern married George Nelson Ross, son of Charles E. Ross and Martha Jane Gibson, on 7 September 1921 in Lindsay, Victoria County, Ontario, Canada. 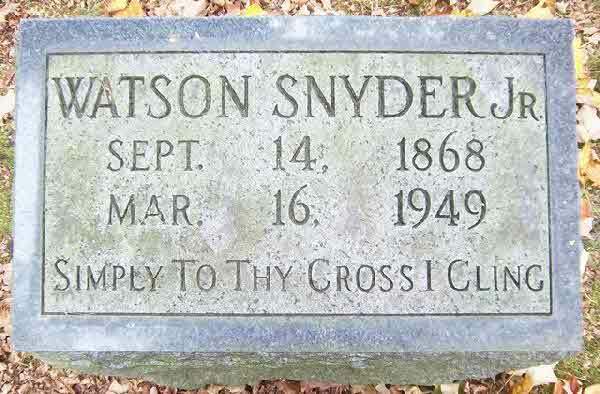 Burial* He was buried in Andersonville Cemetery, Andersonville, Oakland County, Michigan, United States. 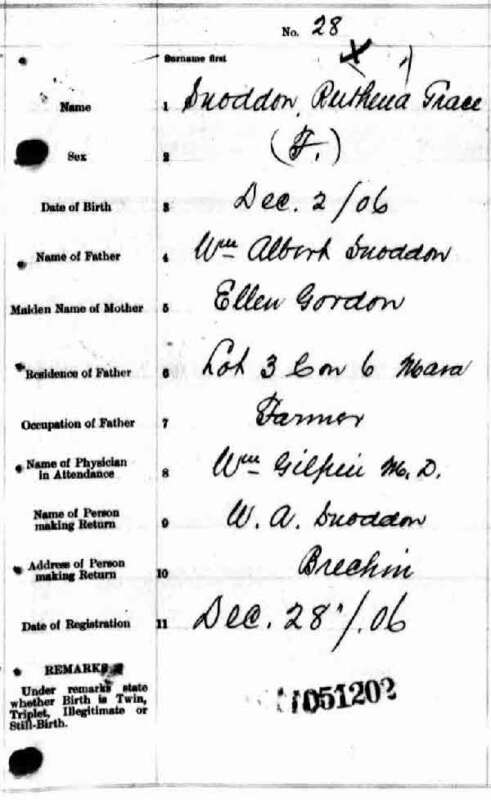 Marriage* Amelia Adah Sparling married George Henry Shier on 3 October 1912 in Methodist Church, Parish Of Rathkeale, Rathkeale, County Limerick, Munster, Ireland. 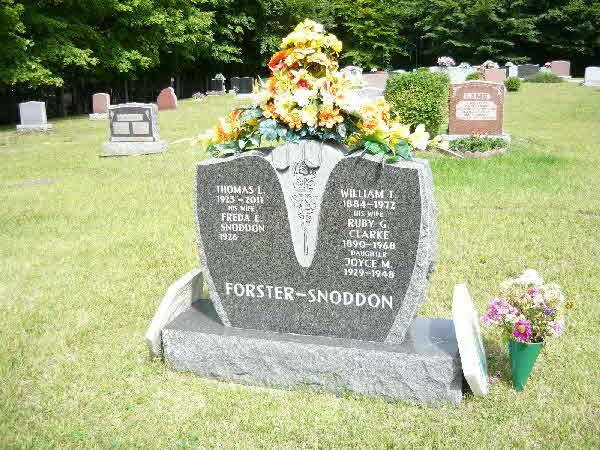 Burial* She was buried in 1844 in North Brock Shier Cemetery, Ontario County, Ontario, Canada. [S21] Simonhoyt.com, Sparling family Tree, online \. 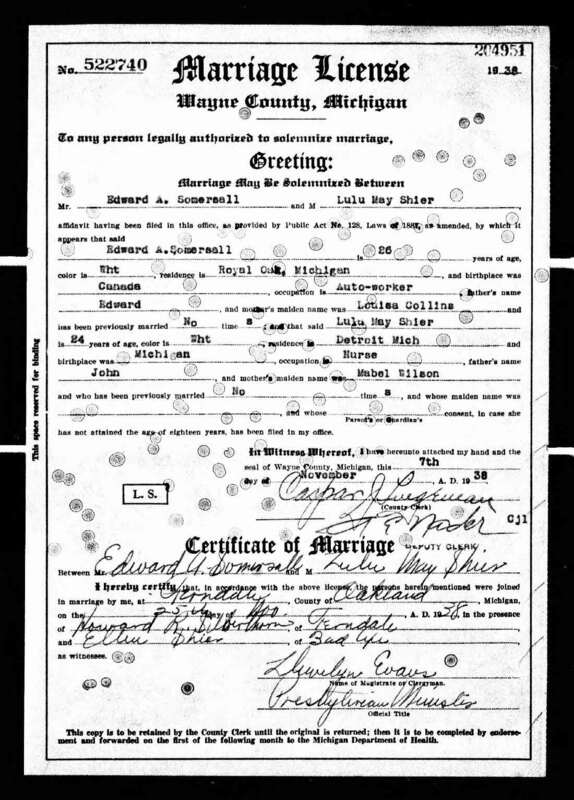 Marriage* Beatrice D. Sparling married Albert Wochlert on 17 February 1927 in Lucan County, Ohio, United States.